Two of the favourties teams will be battling with each other for the Group match in FIFA World Cup 2014 which going to held at Arena Fonte Nova, Salvador on monday, 16 june 2014. the Match is going to start quite early. 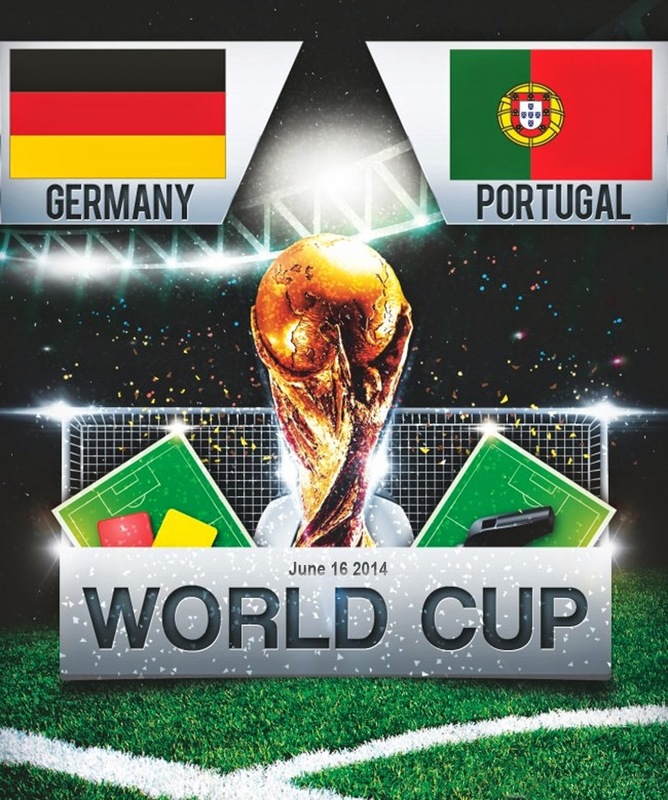 Finally we will see Ronaldo's grace at FIFA World Cup 2014 as Portugal takes on Germany.This is a huge game in the group as it might have a birt impact on one of these teams might not making it through the group stages. Joachim Low, the German coach has a few selection because some players are injured and rest you can see below for the lines-ups. Here are the strongest lineups for both sides, but will use Ronaldo as out and out centre forward, Danny, Varela and Josue playing just behind him in attacking midfield roles. Portugal on the other hand Germany do have selection problems, Joachim Low might ask to start with Philip Lahm in the midfield, a position he has taken on superbly with his club side. Boeteng might start as full back with Hummels and Mertasacker playing in central defence. 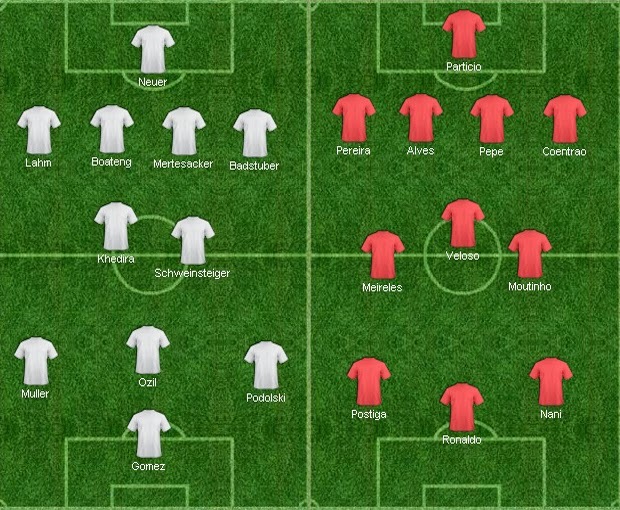 Klose, Muller, Podolski and Ozi will start in front four with Schwanstieger partnering Kroos in midfield. A tough game to predict really, Germany has a quality squad and but they don't have that magical player who can turn things around when going gets tough. Mesut Ozil is their key man and they need him to be on a much better form which he showed Arsenal colours. We can just sit on the fence in this one and we might have this rare draw in 2014 world cup even though we have seen some quality attacking football in first three days with loads of goal not a single draw in first 8 matches. Where Cristiano Ronaldo takes Portugal to totaly different level when he is fit and playing at the top of his game. I strongly believe that if Ronaldo is fit and has that Real Madrid goal scoring form, Portugal can go far in this competition. Apart from Ronaldo portugal have some quality players as well while Germans are always great starters in world cup competition, though this side is not as good as people are rating them. But you can comment below your predictions for this unpredictable match.